This book explores the challenges and opportunities involved in conducting research with members of immigrant, refugee and other minoritized communities. Through firsthand reflective accounts, contributors explore community-based collaborative work and suggest important implications for applied linguistics, educational research and anthropological investigations of language, literacy and culture. By critically reflecting on the power and limits of university-based research conducted on behalf of, or in collaboration with, members of local communities and by exploring the complicated relationships, dynamics and understandings that emerge, the chapters collectively demonstrate the value of reflecting on the possibilities and challenges of the research process, including the ethical and emotional dimensions of participating in collaborative research. Doris Warriner is associate professor of English in writing, rhetorics and literacies at Arizona State University. "This gem of a book offers vivid and trenchant insights regarding the ongoing, ubiquitous ethical challenges inherent in qualitative research. 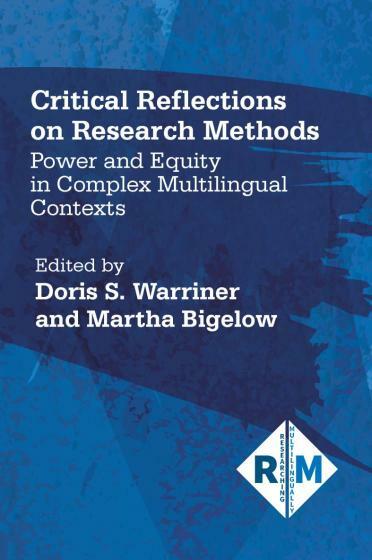 The chapters reveal research dilemmas, scrutinize how linguistic and social inequalities shape research processes, and explore more transparent and humanizing approaches to data collection, analysis and presentation." "Finally we have a book that engages the messiness of research with, and in the service of, immigrant, refugee and other minoritized communities. Addressing everyday challenges that emerge at all stages of the research process, this volume offers a vision for designing research that is responsive to the particular contexts of these communities."